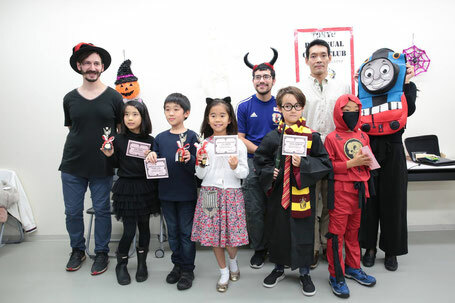 TBCC's Halloween Scholastic Tournament held on October 21, 2017. The Tournament Director, Alex A., made the pairings each round and Instructor Kevin I. and Ujjwala T. from the University of Tokyo Chess Club settled any type of dispute that arose during the game. Please give them a respect for the difficult job they do! 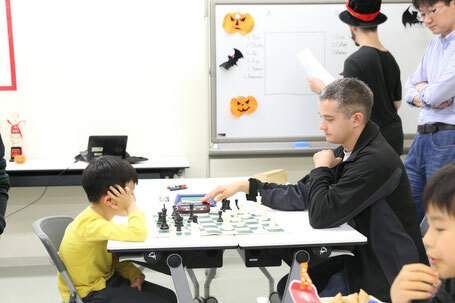 Special thanks to Krystian Ofierzyński, from Poland for stopping by straight from the Narita airport and played chess with kids! Hope Krystian and his friend will enjoy sightseeing in Tokyo currently being hit by the Typhoon. There were 10 brave souls, that came out during our Halloween Haunt from at least 7 schools. Halloween lends itself perfectly to the artistic elements of the game. Children played four rounds showing fine sportsmanship as well as fine ability. 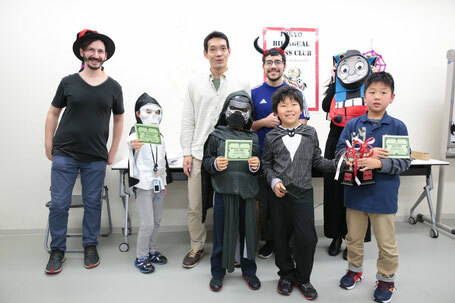 The trophies and the Halloween Best Costume Award are presented at a ceremony by Koji Noguchi, the 2017 Japan Champion. 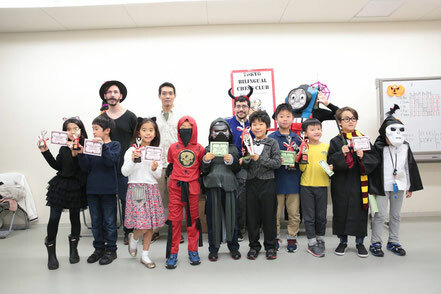 Callum MacPherson from Nishimachi International School Chess Club dressed as Harry Potter won the best costume prize. Harry Potter is one of the most popular and best record scoring 2 wins for the Halloween Costume Award in two years! 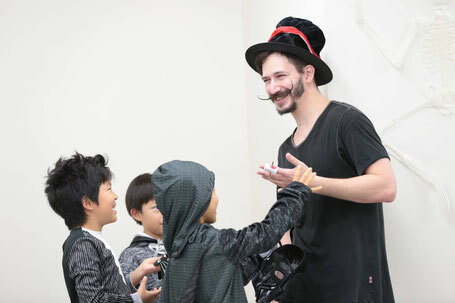 Thank you, IM Shinya Kojima and WCM Natsumi Kojima, for coming to say 'hi' and guiding their students and inspiring them today with Trick-or-treat candies. Also, thank you so much for your help in capturing the tournament in your amazing photo, Emi Hasegawa. Congratulations to everyone who came out to participate in the rainy day and make for a great chess community event! Stay tuned for the New Year Tournament in 2018!